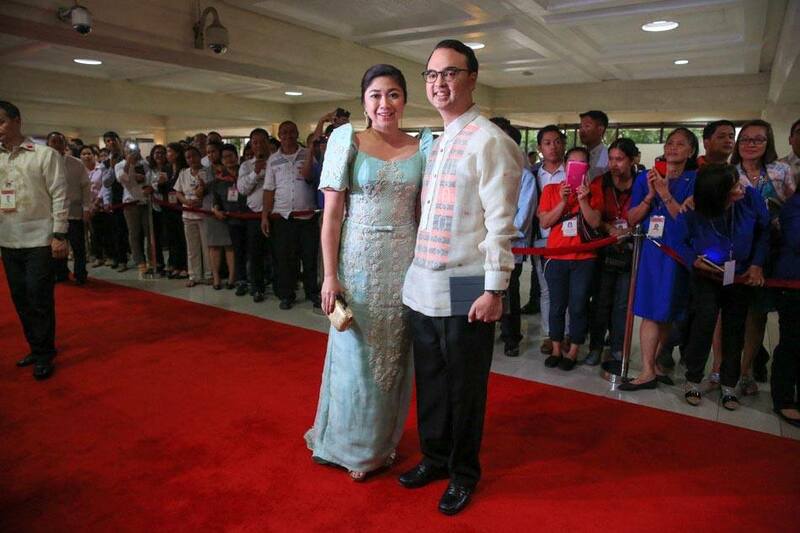 The Couple Champ both in customized Francis Libiran. 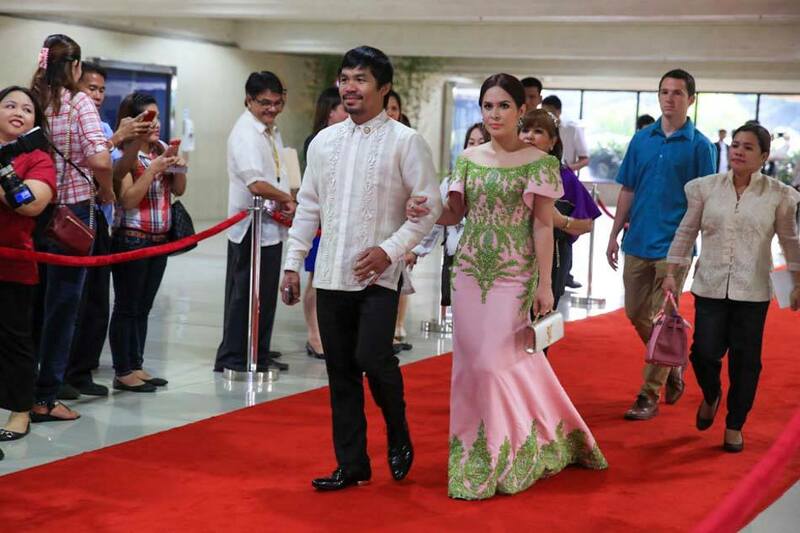 Alright, with no further ado, I present to you my picks from the #SONA2015Fashion! Better late than never. 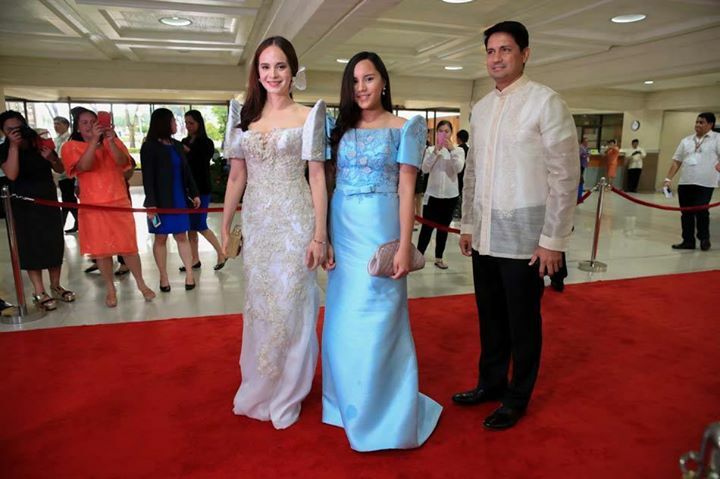 Lucy Torres-Gomez in a classic white terno, she just arrived from Switzerland according to press. Daughter Julia and husband Richard looks similarly proper. Peter Cayetano's wife in a baby blue terno with intricate details on it. She deserves a hype. I know you were all waiting for her. 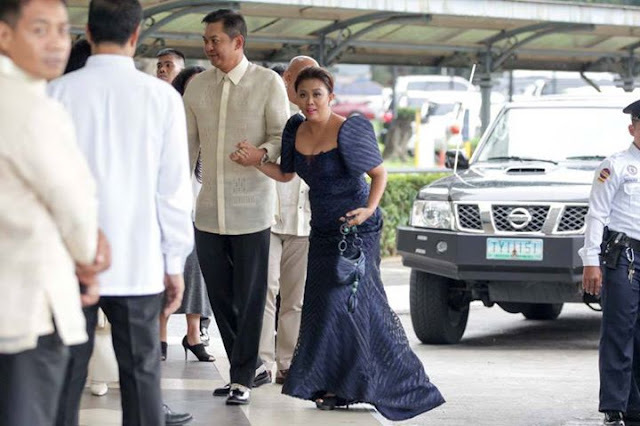 After last year's extreme online criticizing, Nancy Binay opted for a simple navy blue terno with something on it which looks like a tiger-ish pattern to me. 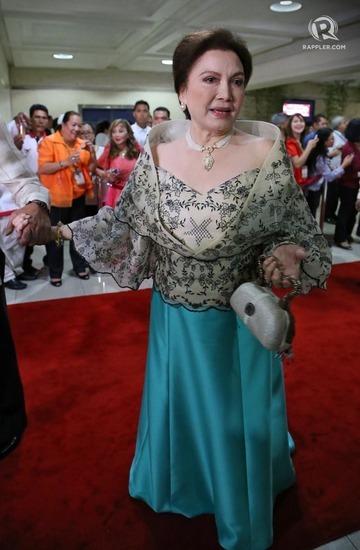 Randy Ortiz made her ensemble this year and the previous one. The press releases said it's boring. But I say, it's minimally alright, blue has popped from the recent Summer-Spring and Fall collections from around the world. 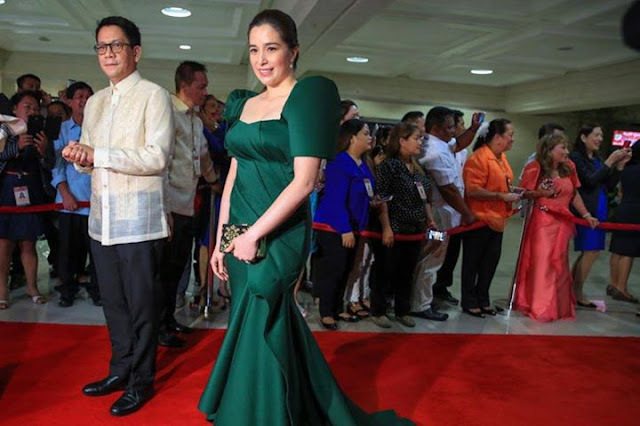 Dawn Zulueta in Cary Santiago. I hope the politics is as beautiful as her. Helen Gamboa proves you can age gracefully. Love, Love, Love her or love her, she will never go out of style with all her money. Kris in a customized terno made of pinya fabric from Lumban, Laguna. 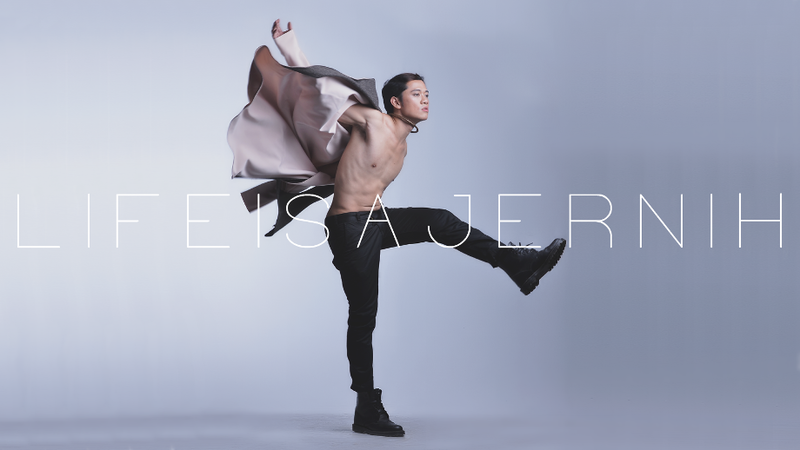 It was designed by young designer Michael Leyva. Now that's a Michelle Obama-gets-Jason Wu-moment. On my way to State of the Nation Address! Manny in his most dapper look to date. 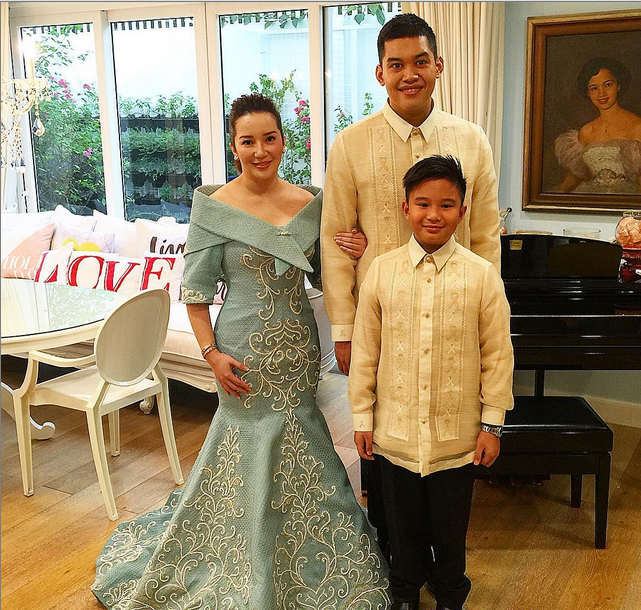 Barong designed by Francis Libiran. Now, let me bring you to Bicolandia.